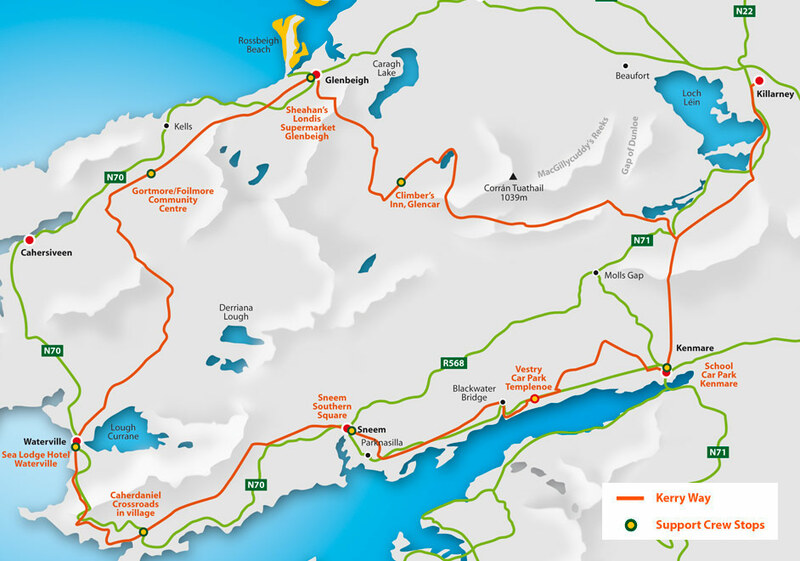 The Kerry Way Ultra is conducted along The Kerry Way trail starting and finishing in Killarney, Co. Kerry. The event starts at 6am on Friday Sept 6th at Randles Nissan Garage, Muckross Road, Killarney. Competitors must finish before 21.59.59 on Saturday, Sept 7th at Randles Nissan Garage, Muckross Road, Killarney. There is a Half Way cut-off at Waterville at 4am on Saturday, Sept 7th and a final cut-off at 4pm in Kenmare. All competitors must adhere to the Performance Rules and Rules for Crew to avoid disqualification. The Kerry Way is a mixture of mountain passes, green trails, boggy ground, wire-covered sleepers, country roads and a minimum of main road. There are 'Yellow Men' markers along all the route but remember, these markers are for walkers and for use in daylight so competitors will have to be aware of their intended route and look out for these markers. An ability to navigate would help. Remember, it is YOUR responsibility to follow the trail. The Kerry Way Ultra is a self-sufficient race so no food will be provided by the committee, there will be emergency water only at Support Crew Stops and this will be strictly adhered to! 1. The course will remain the same unless environmental conditions force a change. 2. 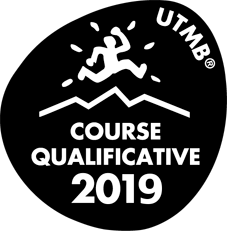 Prior knowledge of the route will offer mental and physical advantages, especially the section you would expect to run in the dark. 3. At least one head torch is mandatory with a minimum of 200 lumens strength. Spare batteries/second head torch should be either carried by you, be with your Support Crew or in your Bag Drop. 4. This is Ireland, you will get four seasons in one hour so be prepared for this - change of clothes, warm clothes for night, rain jacket and pants, warm food, sunscreen, midge (Irish mosquitos!) repellent, water and water. 5. The route is on roads, trails, mountain passes, bog, sleepers and stone but is quite close to the N70 so competitors are never too far from car access in case of emergencies. 6. There are eight Support Crew access points and if a competitor accesses his crew at any other point, he/she will be disqualified. The Kerry Way is privately owned by people, who have given permission to use their lands. Access roads, lanes, gates, livestock etc. are not to be abused. The Support Crew Stops are easily accessible, have ample parking, most have toilet facilities and do not infringe on property. 7. If you need to drop out of the event at a point where your crew is unavailable, we will make every effort to get you to the Finish or to your Crew. 8. There will be other users on The Kerry Way so please be courteous. 9. The night time section of The Kerry Way Ultra will be in the south-west section and this area has recently been awarded a Gold Tier Award by the International Dark Sky Association - this is now officially the darkest part of the entire Northern Hemisphere! "I have been fortunate to race all over the world, from the depths of the Arctic to the coasts of New Zealand, but nothing quite matches the Kerry Way Ultra. The scenery is sublime and offers a very challenging course. The friendliness of your fellow competitors, the race volunteers and the local communities is unmatched - the craic really does lift your spirits when the going gets tough! Definitely one for your bucket list."